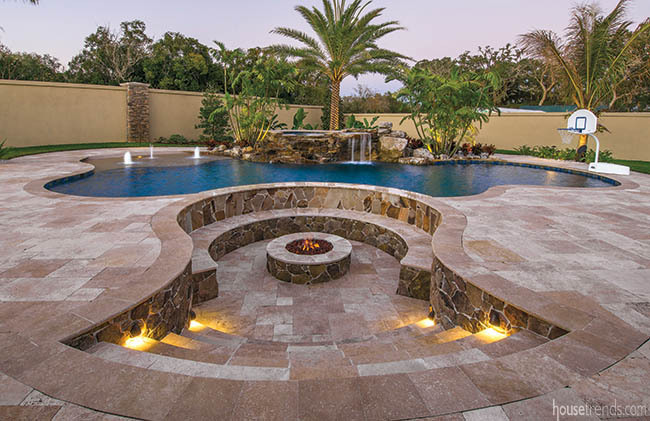 Natural scape pool designs are built to mimic the natural environment. 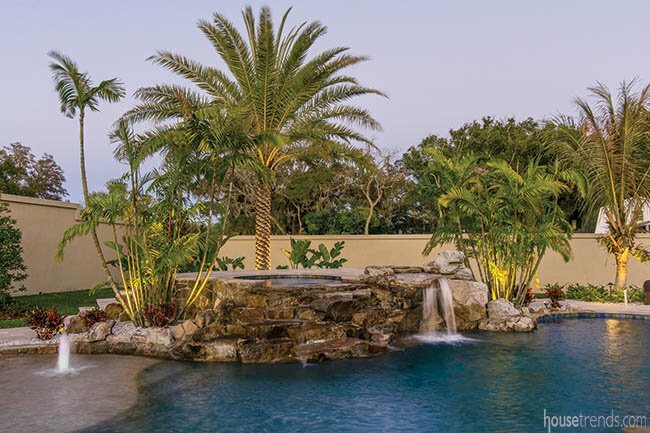 With rock edges and waterfalls you will feel like you're on vacation in an exotic place right in your own backyard. 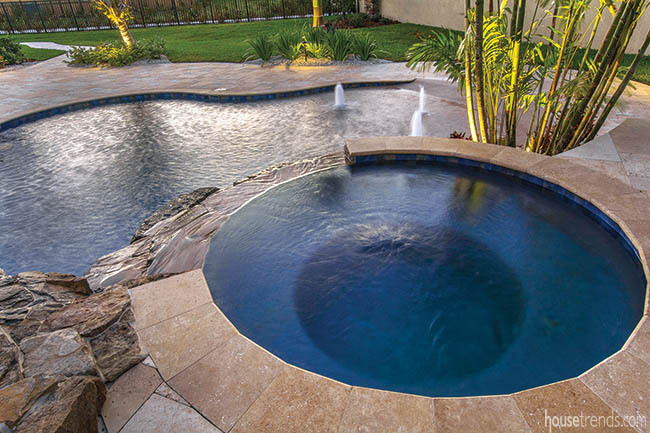 Negative edge pool designs is where the water flows over one or more edges, producing a visual effect of water with no boundary. 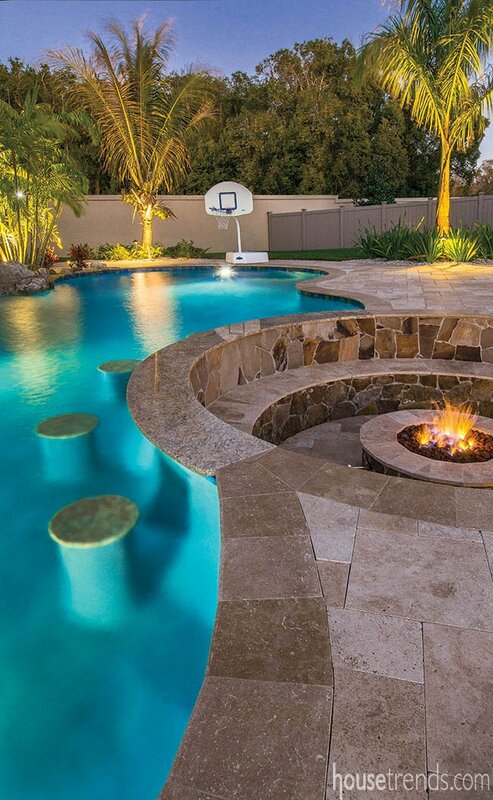 Overflowing water falls into a basin and pumped back into the pool. 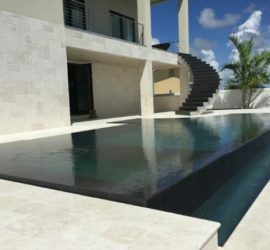 Contemporary pools are designed and styled with the resident's own personal flare and are a part of the interior or exterior of the home and are very unique to the residence. 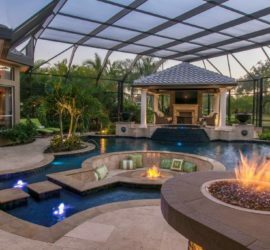 For nearly 40 years Landmark Pools has been Tampa Bay’s top swimming pool builder. 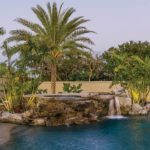 With a testament to vision, craftsmanship, and quality Landmark Pools provides you with a swimming pool that will be above and beyond your expectations. Dedicated design and sales professionals work with you to transform your dreams into a truly unique, detailed, and personalized vision. Our experienced craftsmen sculpt even the most complex visions into reality through tried and tested construction methods. 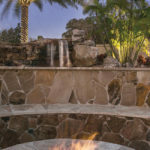 We use only the best quality materials providing the finest fit and finish available. 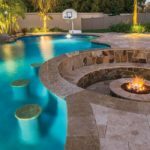 At Landmark Pools our meticulous dedication to design and quality are evident in every phase of the development process. 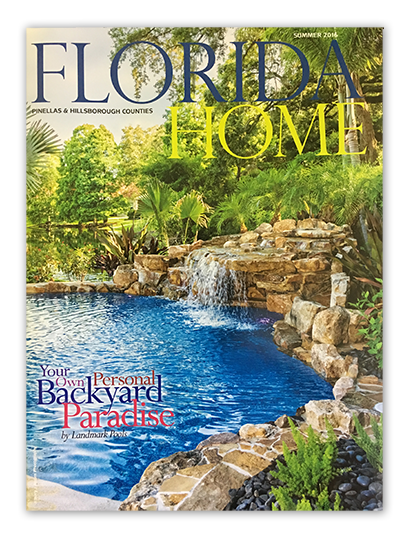 Landmark Pools was selected to showcase one of our pools as the cover photo for Florida Home Magazine in the Summer 2016 edition. 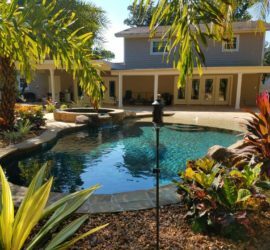 We are recognized as one of the top pool builders in the area with years of experience you can trust. 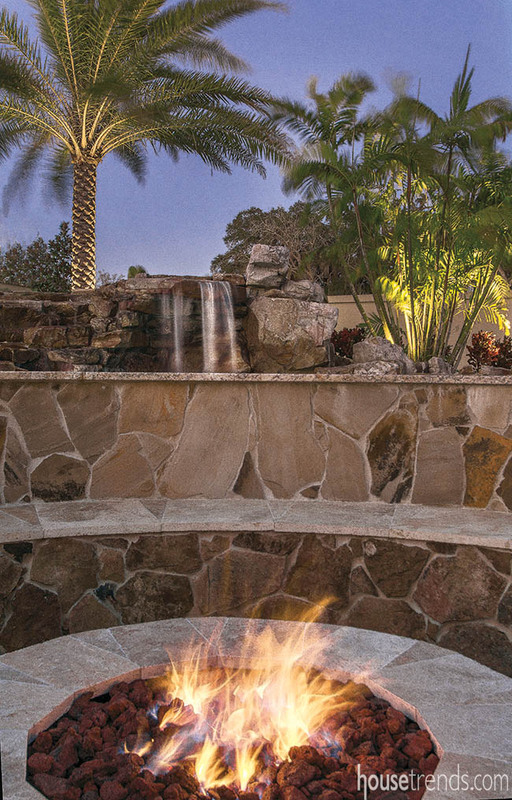 Call us today to get started on creating your own personal backyard paradise! 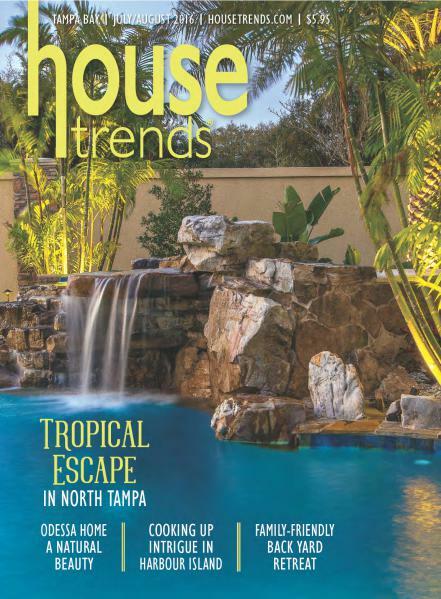 Housetrends featured Tampa Bay Buccaneers running back Doug Martin’s pool on the front cover of the July/August 2016 issue. 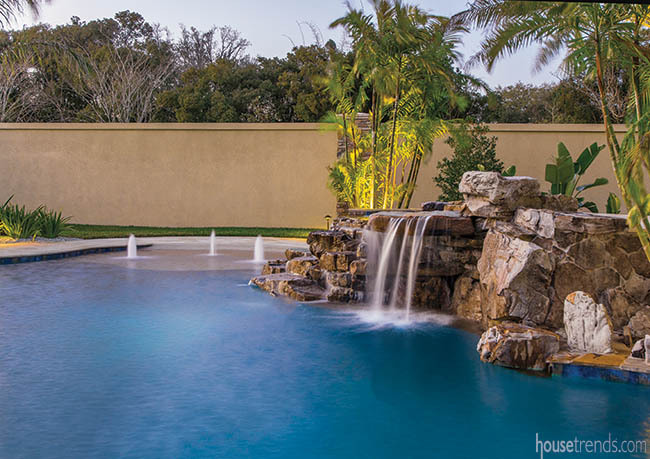 The swimming pool design is straight out of the playbook as Doug sketched all the features he wanted on a dry erase board, took a picture of it and sent it to Landmark Pools. Landmark took his design and came up with the overall finished masterpiece as seen here.